RSPCA seeks man who swung cat Jump to media player Several new lines of inquiry are being pursued following an appeal to trace a man caught on CCTV in Kent swinging a cat by its tail. 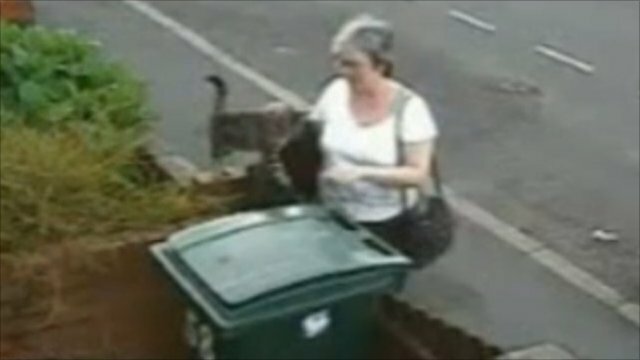 RSPCA happy with cat woman fine Jump to media player The woman who was caught on cctv dropping a cat in a wheelie bin has been fined £250 by magistrates in Coventry. Several new lines of inquiry are being pursued following an appeal to trace a man caught on CCTV in Kent swinging a cat by its tail. The man was recorded outside the Camden Arms pub in Ramsgate at 08:15 BST on 29 October. 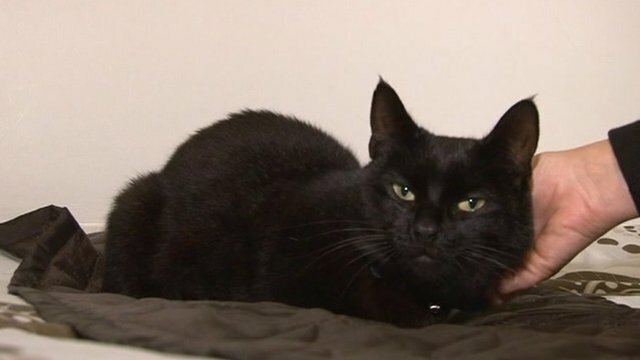 The cat, called Mowgli, was not injured in the incident. 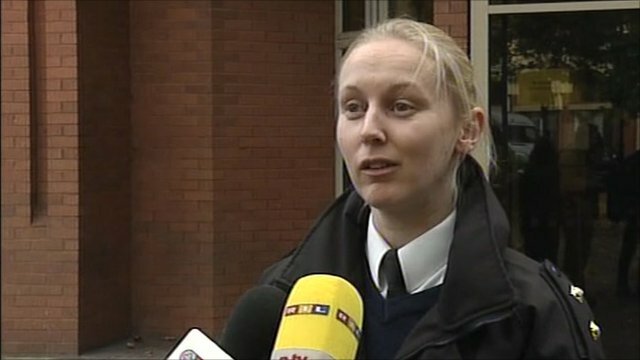 Klare Kennett, of the RSPCA, said: "This was an absolutely horrific incident and we have had a tremendous response to our appeal."